Horseback riding over the mountains is a unique experience few get to enjoy. Take in the scenery while your horse leads the way, trotting along peacefully. Guides and horses are provided by liveries in the summer and fall, and even the winter. In conjunction with the YMCA, Jackson Stables is dedicated to creating unforgettable adventures by horseback, hayride, or trail ride amidst Rocky Mountain grandeur. Many of the trails in Rocky Mountain National Park allow horses and pack animals, such as mules, ponies, llamas, and burros, to roam the winding paths. However, animals are limited to 20 animals in a string, and you have to bring their feed for the trip because grazing is not allowed. In most cases campgrounds and picnic areas are not amenable to riders, but there are a few "stock camps" located in the backcountry available if you obtain a permit. Four sites are designated for llama use only, while other sites take up to 5-20 horses and other stock. Always tie animals tightly to the hitch rack at each site. Cross-country travel is not allowed on horseback and you have to remain on maintained trails so that vegetation does not become damaged. Horses have the right-of-way, but you still have to let people know you're coming when overtaking hikers so they are given enough time to yield. Galloping is not allowed; equestrians should slow down when passing others. 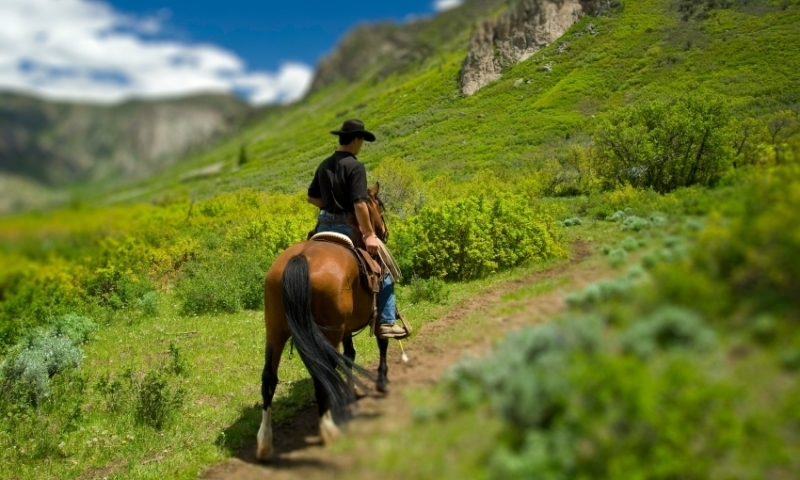 There are many dude ranches that belong to this association surrounding the Rocky Mountains. Learn more about human horse connections. Guided mule tours into the depths of the Grand Canyon. Stay at guest ranch near Steamboat Springs, Colorado. 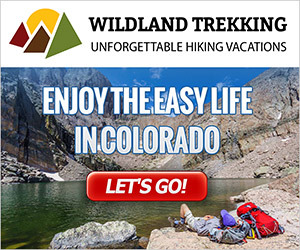 Winter Park, Colorado guest ranches.